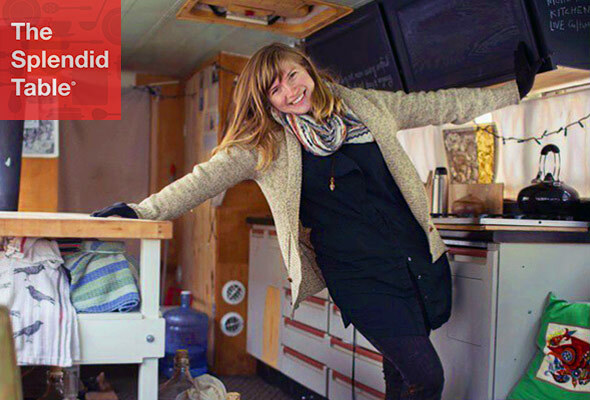 I talked to Tara Whitsitt, who in 2013 converted a school bus into the fermentation lab and workspace Fermentation on Wheels. Since then, she has traveled more than 12,000 miles across the country, welcoming eager students onto her bus to teach them all about fermentation. For the Netflix series Chef’s Table, filmmaker David Gelb followed six chefs from around the world. The chefs have “courage, relentlessness and a purity of vision that they refuse to compromise,” Gelb says. No matter what time of year it is, Elizabeth Millard always has fresh vegetables. The author of Indoor Kitchen Gardening grows everything from carrots to kale inside. Photo © 2014 Edsel L. All rights reserved. All recipes and photos used with permission of the publisher.